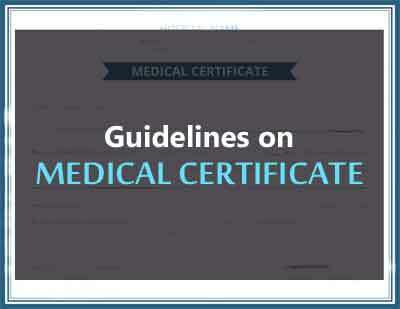 JODHPUR: The lack of guidelines for issuance of medical certificate by doctors in the state seems to have not gone well with the state high court. The court passing a stern order summoned the state’s advocate general with the compliance report pertaining to the guidelines for issuance of medical certificates by doctors . This comes in the follow up of an earlier court order of the year 2005, which asked the state government to draw the guidelines for doctors, but has not been implemented even till now. The case goes back to the year 2004, when the court was hearing the petition which had caste doubts on the veracity of the medical certificate that was issued by a government hospital in Nagpur. Dismissing the petition, the high court passed an interim order in March 2005 to get the said certificate examined and ordered the government to fix the responsibility in such matters to ensure the appropriate punishment to the guilty reports TOI. With the said comments the court had directed the State Secretary ( Medical & Health) to draw guidelines for issuance of medical certificates, as well as with respect to fixing the accountability on issuance of false certificate and prosecuting those issuing false certificate and produce the compliance report in the court. It is reported that while the said matter was pursued, it went on sans any guidelines from the state government. 11 years have passed, the guidelines are still not in place. Yes. It should be must for all- inland and foreign passouts. Along with theory exam there should be clinical skill test also. This can be very well taken immediately after final MBBS exam. Why should one wait till the internship is over. At this time students would be fresh in their studies. Once the exam is over. They can concentrate on practical things in their internship postings and as internship is paid, they can serve at least to some extend if not in full. 1. Students from Government medical colleges have heavy duty as intern. They cannot prepare theory adequately. 2. Students from private colleges and outside India have plenty of time during internship as patients are limited. 3. If one student from Govt Medical college fails and one passes from private, they (private medical colleges and press) will generalise it. And ultimately they would say private is better.